Serious gardeners have an arsenal of different tools designed for different gardening tasks. For pruning, we've so far tackled hedge shears and hand pruners. Today, we'll be talking about loppers. When you're buying loppers, don't forget to check the quality and make of the blades, the ratcheting and cutting mechanism, handle length, bumpers, and even the availability of replacement parts. Because of the different features and abilities of each, this list is arranged in no particular order. Choose your loppers based on your specific needs and if any of the cons listed for each are deal breakers for you. There are many excellent loppers, like Corona's, but they tend to be heavy. If you're a senior with waning strength or are petite in build, these would be the perfect brand and model for you. Apart from their light weight, another useful feature of the Kseibi loppers is their extendable arms. The handles extend from 27 inches up to 40 inches. This added height allows you to reach branches higher up without needing to climb on a ladder. You get five different extension lengths with a click lock that is easy to set and release. When you purchase this item, you'll get a maintenance brochure emailed to you. You can buy a single lopper or up to five loppers in a single order with this brand. 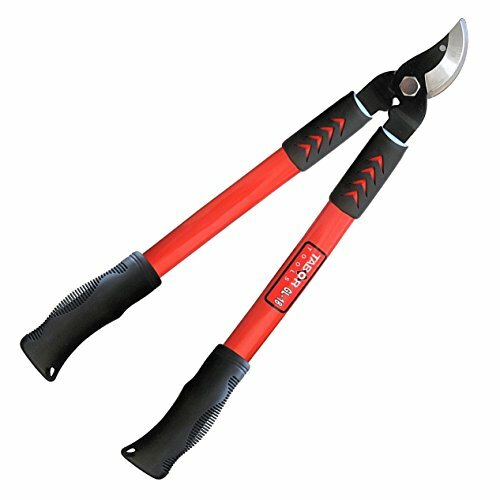 The ratcheting action on these is excellent and makes cutting larger branches easy. The sturdy design and cutting performance is comparable to more expensive brands. The handles on the Spear & Jackson are also telescopic. When unextended, they are 18 inches long but when extended, they go as far as 31.5 inches. They are adjusted using twisting end-caps. These Gnome loppers are neither super lightweight nor telescopic but what stands out about them is how the blades are extremely sharp. These loppers use gear driven action to cut. The gearing is so great that you don't need to strain or apply a lot of pressure when doing work with these tools. These make them ideal for those with weaker hand strength. Quite surprisingly, for their strength, they actually have a smaller form than other brands. These are Amazon's Choice for bypass loppers. Gnome 25" Garden Power Gear Bypass Hand Loppers | Branch Cutters Trimmers Pruners - Best in Class Carbon Steel Blades | Gear Action | Heavy Duty Soft Grip Handle. 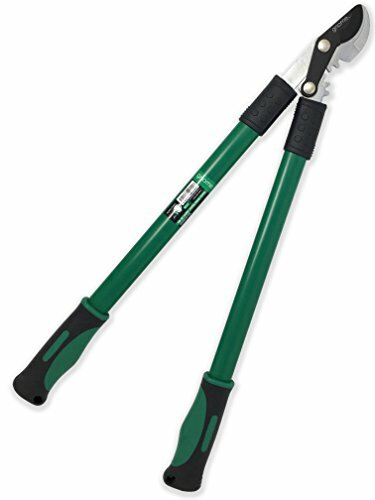 If you are looking for a sturdy powerhouse of a lopper and you don't need to reach too high, then these are for you. 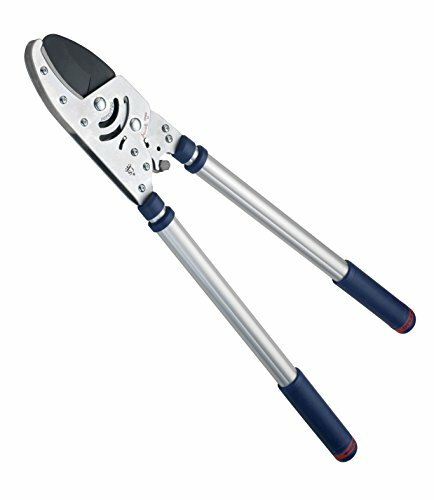 These loppers are able to cut through smaller branches very quickly and easily. Despite the short handles (15"), you can feel the power behind each cut. The blurb for this product emphasizes that 1 inch is the limit for its cutting ability but it CAN cut through thicker branches. This may lead to faster dulling though so only get these if the gardening that you do has you working with trees and plants with thinner branches. Apart from the quick cutting ability, one other noteworthy thing we like about the Tabor loppers are the handles. The handle grips are satisfyingly ergonomic. 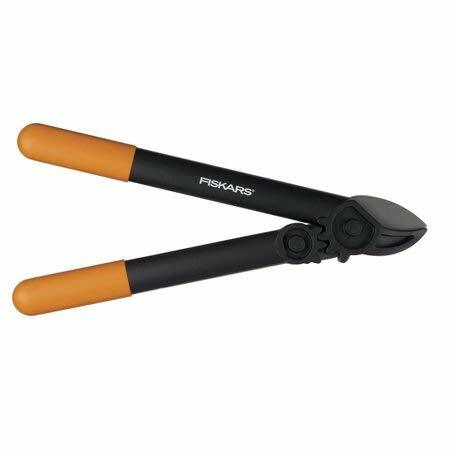 Similar to Tabor, Fiskars is a great brand for gardening tools. 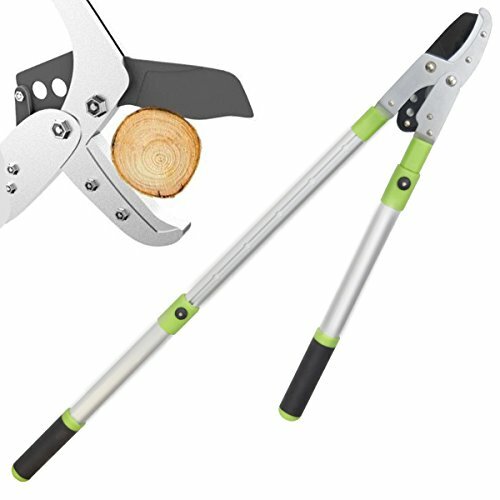 The blurb says they can only cut up to 1.75 inch branches but from my experience, so long as the branches can fit the blades, these loppers can cut through them. Having said all that, they do come with some restrictions. This model may be heavy for people with smaller builds or weak hands. They're also not telescopic and the 32" handles need to be fully extended for big branches. There are also some reports of blades snapping. For now, I'd cite its best points to be its satisfactory performance, budget price, and lifetime warranty. These are Amazon's number 1 bestsellers in hand loppers, as of writing.